Want to add uniqueness to your trendy kitchen? Thinking about filling it with a multitude of textures and exciting patterns? 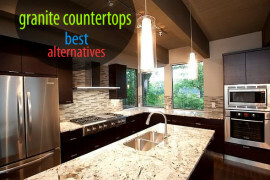 Then why not give gorgeous glass countertops a shot! From the exciting backsplash to the exquisite backlit countertop, glass is the hottest new trendsetter in kitchen design. And CGD Glass Countertops is one of the global leaders in the industry, offering its customers an amazing array of choices when it comes to decorating their homes with glass. Decoist caught up with the founder of CGD, Vladimir Fridman, to give our readers insight into what goes into the story behind glass countertops. 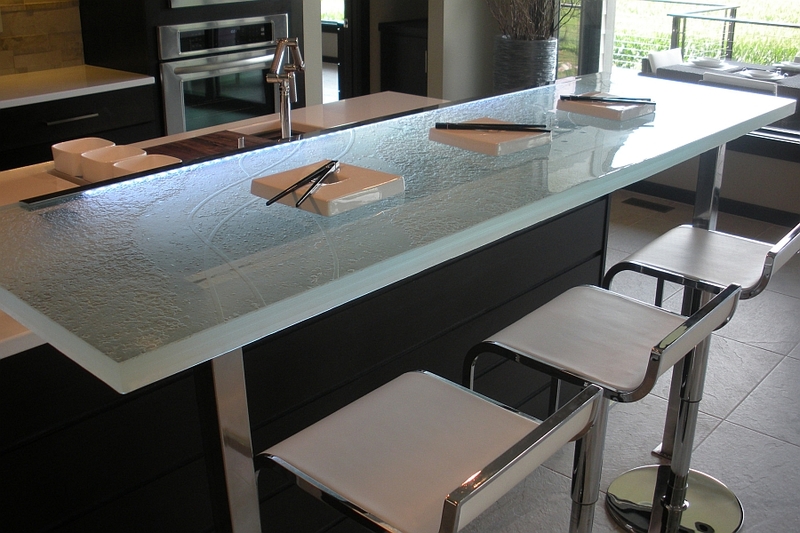 D: When most homeowners think of glass countertops, the first question that comes to mind is durability. 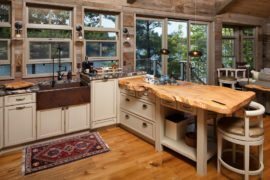 What challenges do glass countertops present in terms of maintenance and durability in the kitchen when compared to other surfaces? VF: When people think of glass, the first word that comes to their mind is “fragile”, and that is understandable. 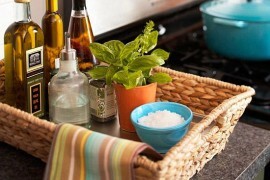 However, that is not the case when it comes to our glass countertops. The usual thickness for a glass countertop is 1 1/2″, which makes the glass extremely durable. 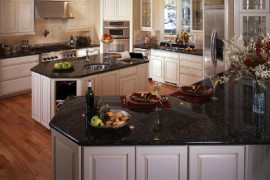 These countertops are not subject to cracking or chipping under normal wear and tear conditions. Their strength actually equals the most common countertop materials, such as marble and granite. Glass is actually even more rigid than the stone material, allowing more counter leverage. Glass countertops are heat- and stain-resistant due to their non-porous surface, which makes them hygienic and super easy to clean. D: What goes into making a glass countertop at CGD? When it comes adding a backpainted color or LED lighting, does the style of the kitchen of the customer influence the final choice? What do you generally suggest? VF: When it comes to making a glass countertop, we first need to know the dimensions and the specs of the countertop. For example; The thickness of the glass, the texture, edge finishes, etc. It is also important for us to know if there are any cut-outs for faucets or sinks. 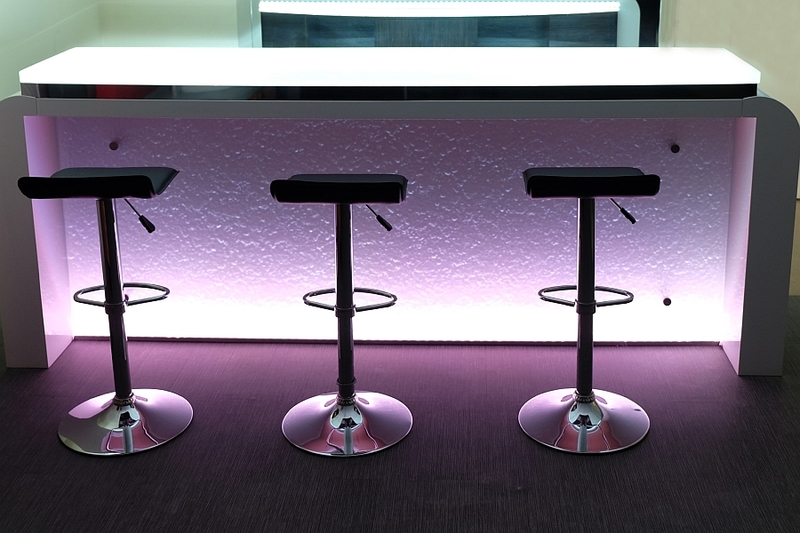 We usually let our customers pick the color of the backpainted glass/ RGB/ LED lighting. We do suggest what would look best with their kitchen tones or bathroom style. However, the final decision is always up to the customer. We offer a great variety of colors when it comes to backpainted glass. Amongst our own, we are also able to use any Benjamin Moore color, and some custom-made patterns. D: With glass backsplash designs gaining popularity in the last few years, what are the specific trends, in your opinion, that have really taken off in this aspect of kitchen design? 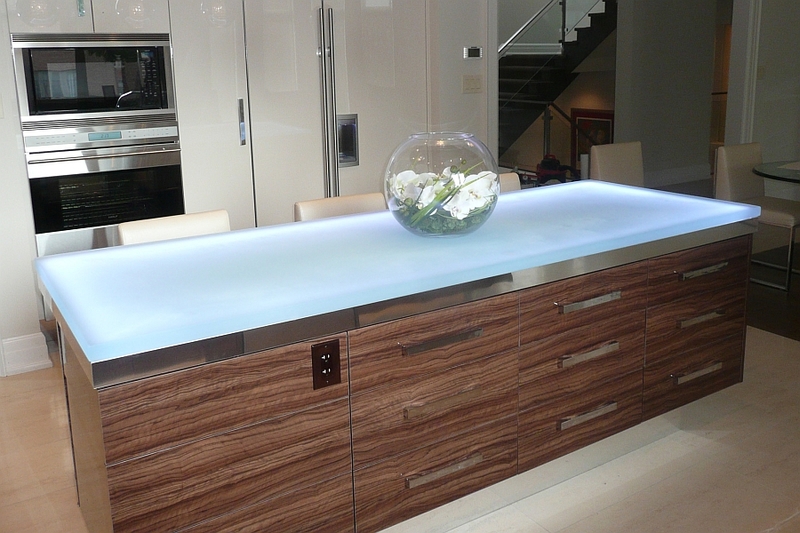 VF: Glass backsplashes are most definitely becoming more popular now. 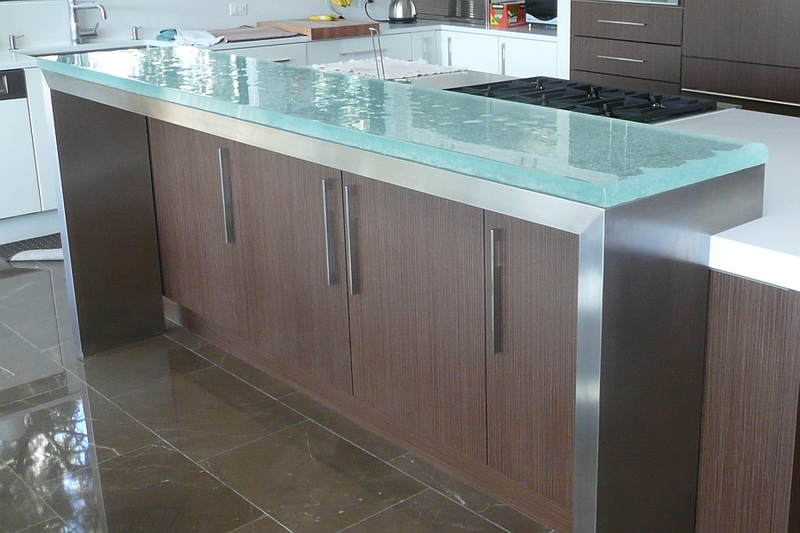 Our glass backsplashes are almost seamless, as we use big slumps of glass with minimal joints. 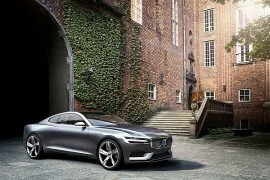 The customization of the color and reflection makes the design sleek, modern, and easy to maintain at the same time. 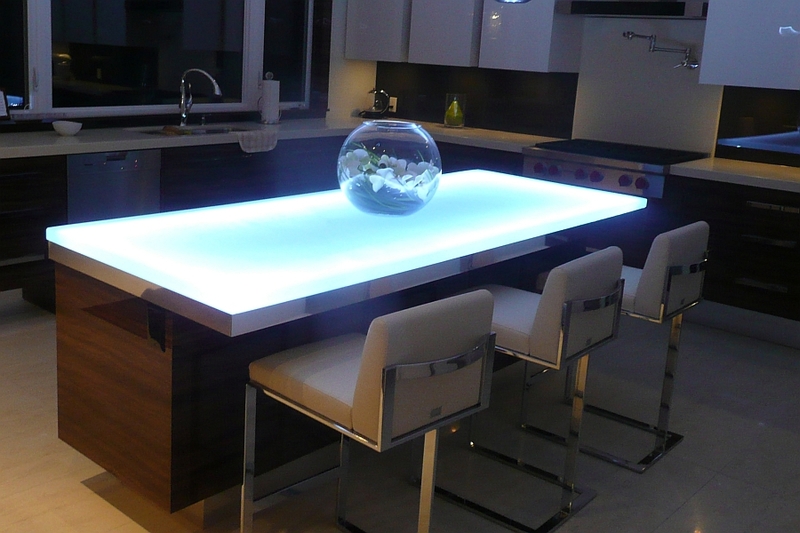 Glass backsplashes also have the option of providing backlighting, in case the customer wants to put LED lighting. 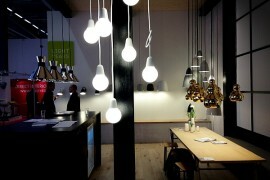 That creates a distinctive and exclusive atmosphere in the kitchen. At the same time, CGD has an option to create a more traditional, antique look for a backsplash to satisfy the particular taste of the customer. 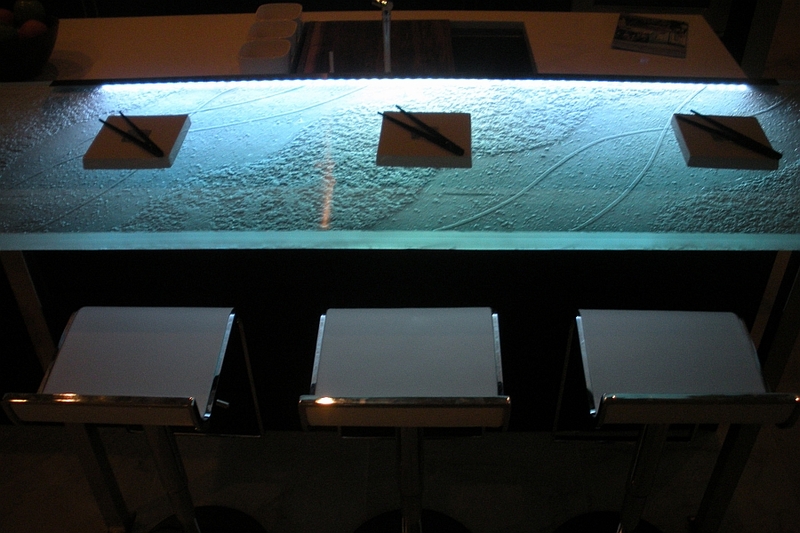 D: How important is LED lighting in shaping the overall appeal of these glass surfaces? VF: The LED lighting adds such a dramatic effect to the glass that nothing else is comparable. 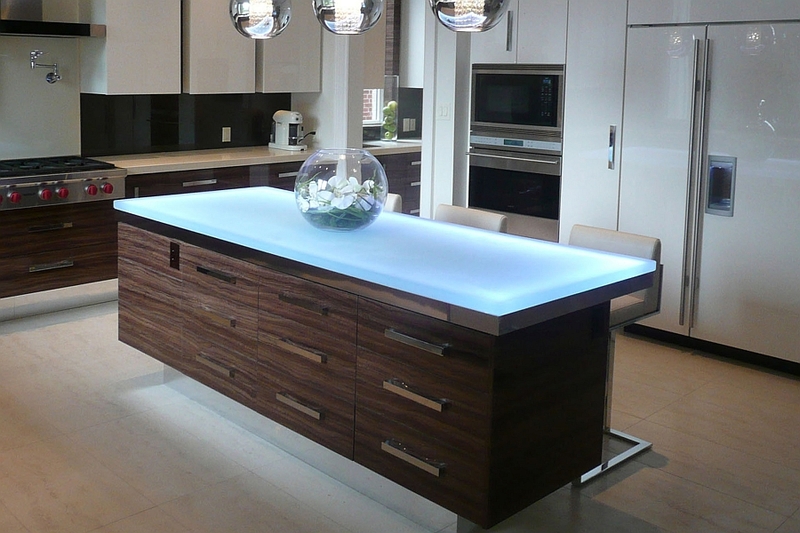 When used for a kitchen island, the LED lights make it stand out, turning it into a focal point. We offer two types of LED lighting: the cool-white LED, which is one color, and the RGB lights. RGB lights are used for projects that require a more colorful tone. 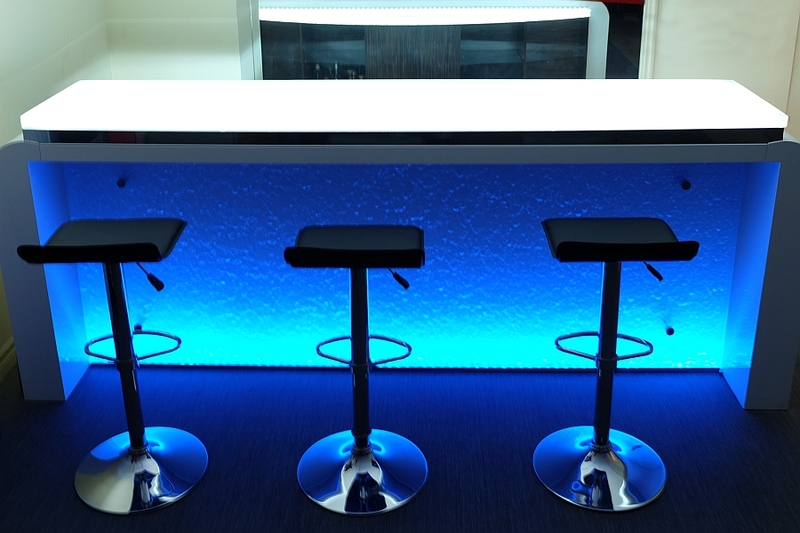 With the RGB lights, it is easy to control what color your countertop is shining. It can be set to one color (green, yellow, red, pink, purple, etc), or it can be set to a feature that allows the colors to gradually change from one to another. VF: Using glass for a kitchen or bathroom counter already makes the room look different from many others. When adding LED lights to the glass, it makes it even more exquisite and dramatic. 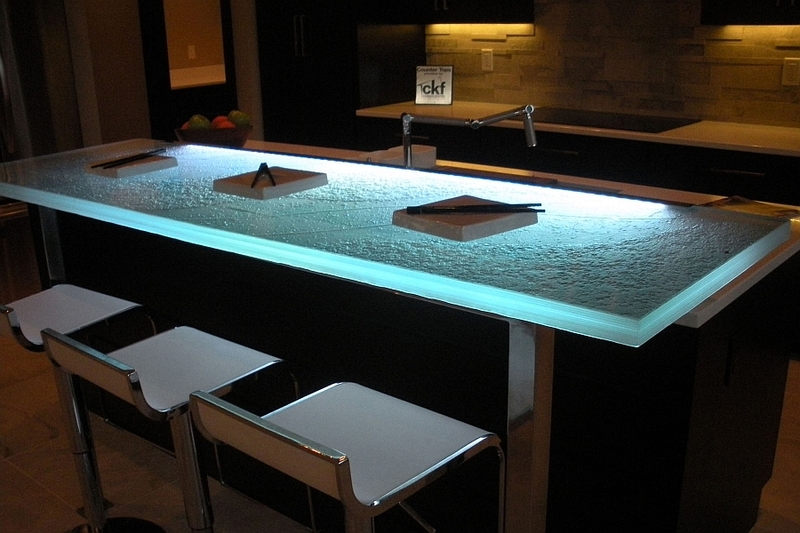 That being said, using glass for a kitchen or bathroom countertop without the LED will not make it less impressive. Depending on the style of the interior space, and the desired look, our glass can be used with or without the LED lighting. 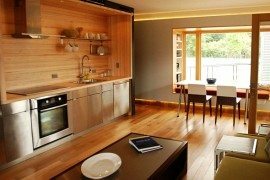 D: How affordable are CGD thermoformed glass kitchen surfaces? Can these surfaces be easily integrated with existing kitchens in the case of a quick remodel? VF: Our glass countertop prices all depend on the countertop specs such as: thickness of the glass, texture, edge finishes, etc. We offer two types of glass: Ultra Clear and Aqua Clear. The Aqua Clear glass is the one with more of a blue/water color tint, whereas the Ultra Clear glass is more crystal clear. There is a price difference between the two, as well as any cut-outs for sinks or faucets in the countertop itself. If we compare the thermoformed 1 1/2″ glass with the same thickness in stone, there will be no significant difference in price. However, the stone is usually 3/4″ in thickness, which makes glass countertops a more valuable investment, and the same time, makes the purchase more expensive. VF: In the case of a quick remodel to a customer’s already existing kitchen, the best solution would be a raised glass bar. It will not only allow more sitting room as well as more counter space, but it will also create a refreshed, new, modern look. 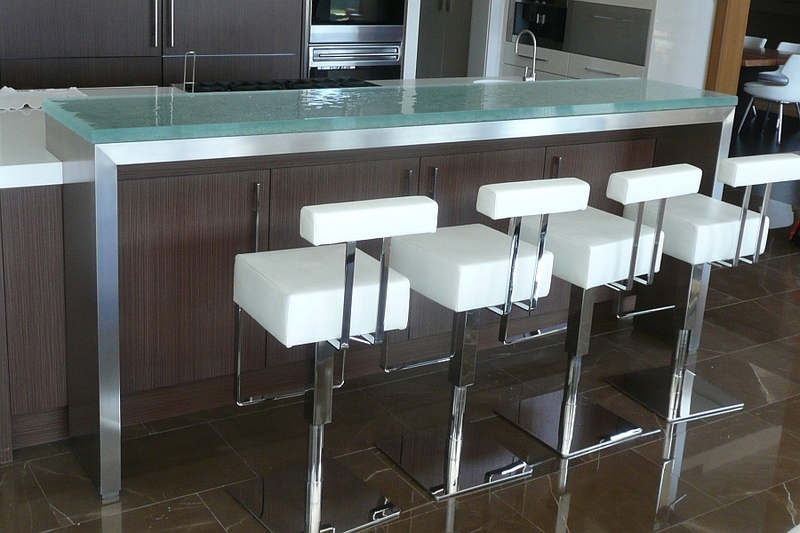 It is extremely easy to attach a raised glass bar to your already existing countertop. We offer different methods, depending on the customer’s preference and style. To attach the raised glass bar, we can use wood or metal pedestals, standoffs, or angle brackets. D: Finally, what advice would you give our readers when looking for a new kitchen or bathroom countertop? When do you feel glass serves as the best choice? VF: When looking for a kitchen or bathroom countertop, the first thing you need to ask yourself is what look you desire to achieve with the space. 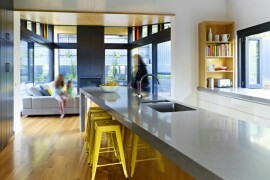 After picking the design and style of the kitchen, it is time to look at practicality. 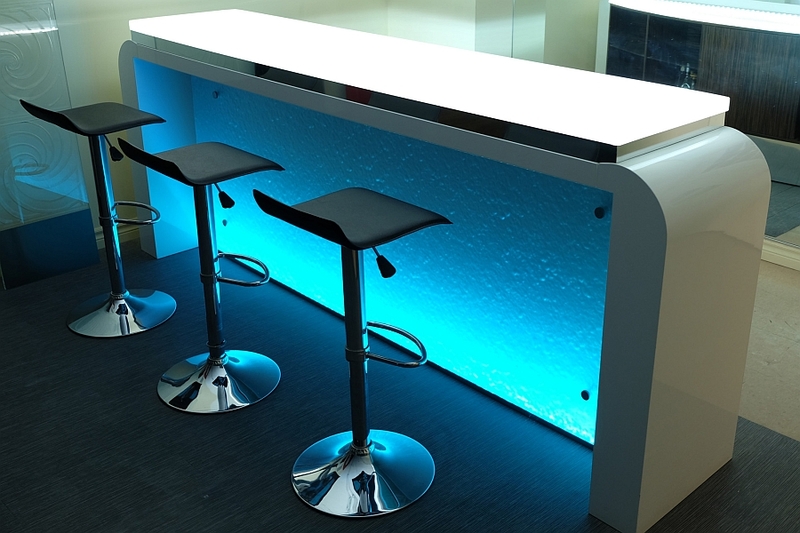 As mentioned earlier, our glass countertops are very durable and hygienic, which makes them a great option. Because our glass products are non-porous, this makes our glass countertops an excellent choice in comparison to other countertops such as stone, granite or marble, which sometimes absorb stains or require ample maintenance. 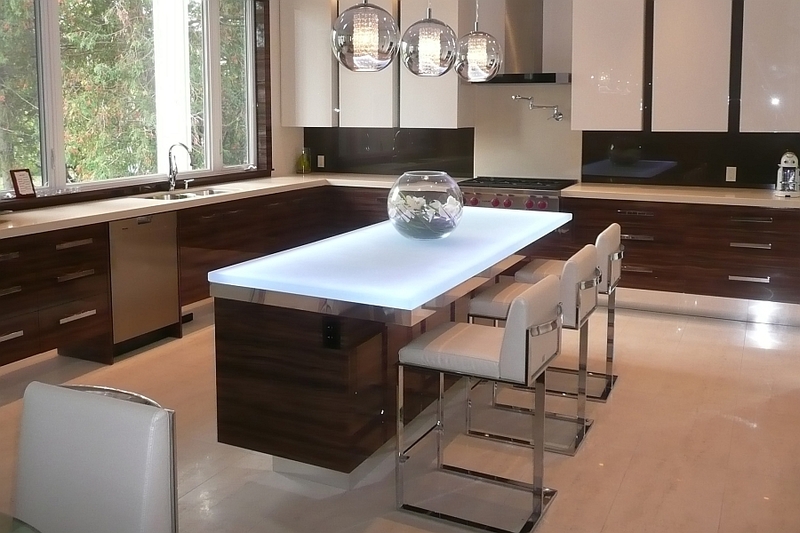 Also, glass countertops provide your kitchen/bathroom with a great timeless design and elegant feel. Now, that should give you a great insight into how a glass countertop can alter the overall appeal of your kitchen or bathroom. So, are you planning on a gorgeous, glass-filled kitchen renovation?